Bursting out of Dublin with a breezy and heartfelt sound, Hare Squead is the rare act with the chops to be played in the club and the coffee shop. 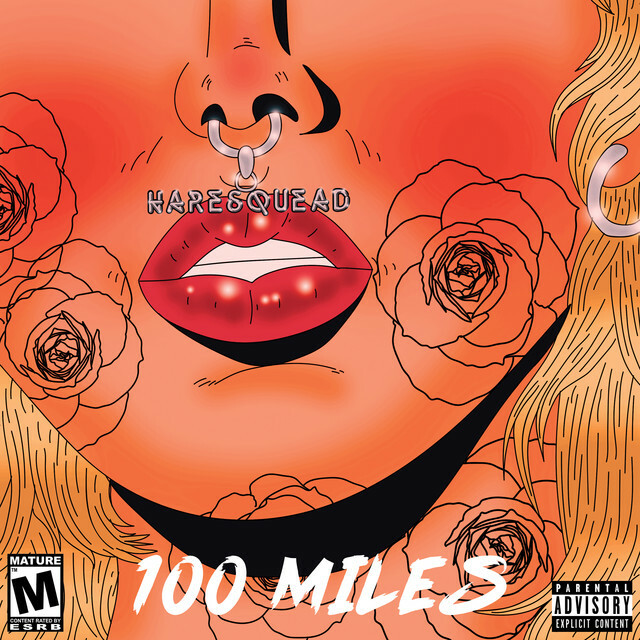 Returning from a 18-month absence from the spotlight, Hare Squead shares “100 Miles,” a bright and longing new single. Beginning with lilting Latin guitars and opening up into a bouncy and melodic love song, Tony Konstone and Lilo Blues (who sings the hook) attempt to navigate a sticky situation, overcoming familial objections and crossing long distances to be with the one they love. A spiritual descendant of classic love songs like “Ain’t No Mountain High Enough,” “100 Miles” racked up over 75k Spotify streams in its first week of release and earned prominent placement on the service’s influential POLLEN playlist, as well as New Music Friday. The leading light of a rapidly growing Irish rap scene, Hare Squead developed an international audience with their electric chemistry and and seamless blend of rapping and singing. Praised by the likes of Pitchfork, Noisey, The Guardian, and many others, Hare Squead won an influential fan in Goldlink, who included a remix of their song “Herside Story” on his At What Cost album. In 2017, the group released two acclaimed singles “Flowers” and “Pure,” which earned more than 5 million combined streams on Spotify alone. With tens of millions of streams already in the bank, and with a loyal fanbase of 750k monthly listeners who kept listening through the band’s 18-month absence, Hare Squead plans to treat fans plenty of genre-fluid and energetic new music in 2019. Please contact Michelle or Kierra if interested in talking with Hare Squead.